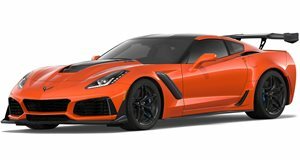 Amidst all the rumors, leaked images and a refusal by General Motors to officially acknowledge the existence of the mid-engined C8, most fans are getting a bit frustrated or just plain fed up waiting for this next-gen Corvette to finally break cover. Well, if you were expecting a shock announcement of its imminent reveal then the only shock we have in store is that GM is still tight-lipped about the whole thing. And just in case you haven’t been following the development of the very first mid-engined Corvette ever, Don Sherman of Hagerty has made it his mission to track down every last detail about the car. Issues with the electrical system and a flexing chassis have contributed to what is most likely going to be a late 2019 reveal, when three variants are expected to be introduced comprising of a base 6.2-liter V8, a supercharged 1,000 hp monster as well as a hybrid option. If you enjoy a round of golf, then you may want to skip the electrically assisted model as only the gas-powered models will be able to fit two sets of golf clubs in the frunk.